Hi folks, I have a couple of projects to do involving photography so thought I would get back to the blog for a bit of inspiration and ‘getting it out there’. 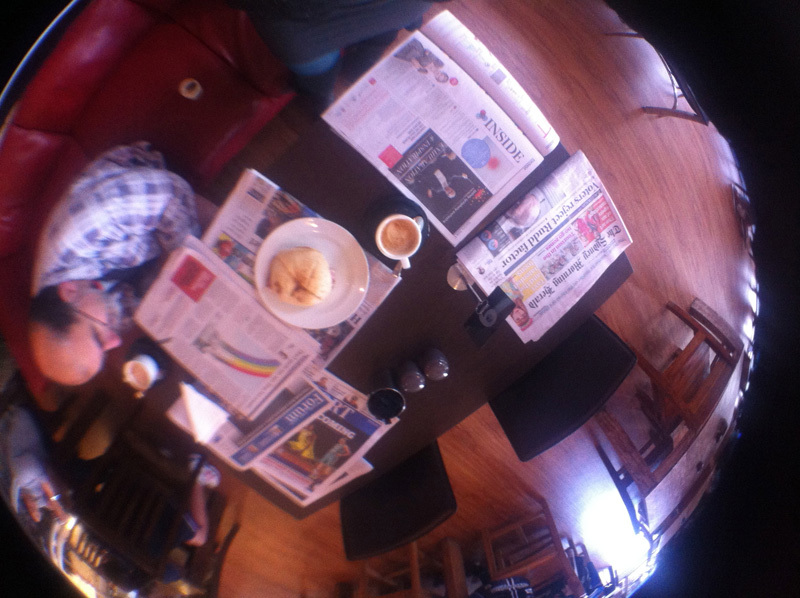 Coffee and shared bacon and tomato roll at Urban Roast in Belconnen. Best coffee. 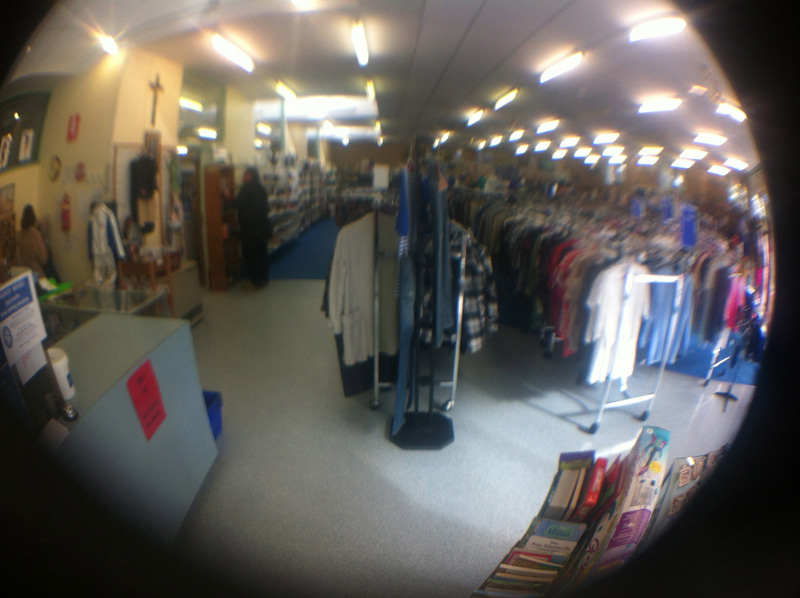 A bit of retail therapy at my fave store, St Vinnies in Belconnen, conveniently situated walking distance from Urban Roast. Purchased a great book of poetry edited by Harold Bloom, $3. Bargain. Nearly bought a coat, but don’t really need more fab black coats. Arty sunset snap. There isn’t much in between because I was tired from a big week and didn’t do much in between. That is what Saturdays are for I guess. 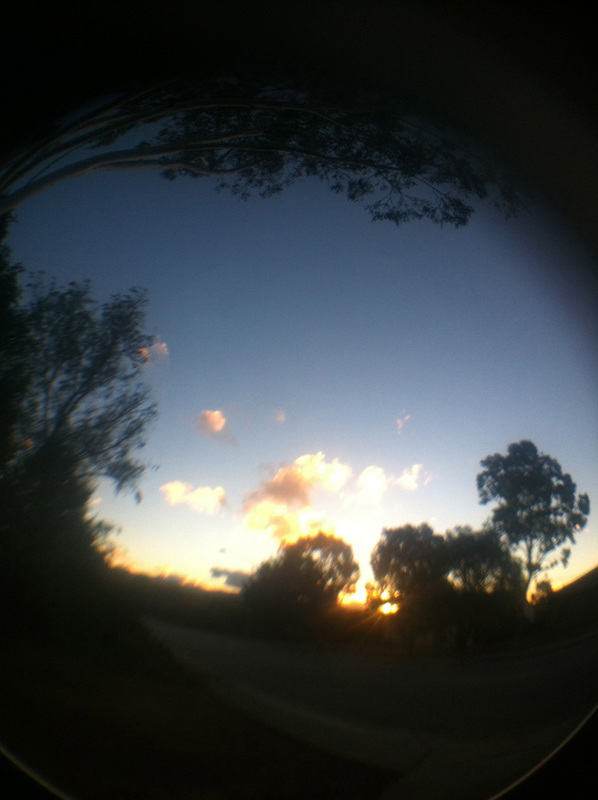 This entry was posted in Uncategorized and tagged iphone fisheye lens, Saturday. Bookmark the permalink.